It is that time, once again, where con season begins. 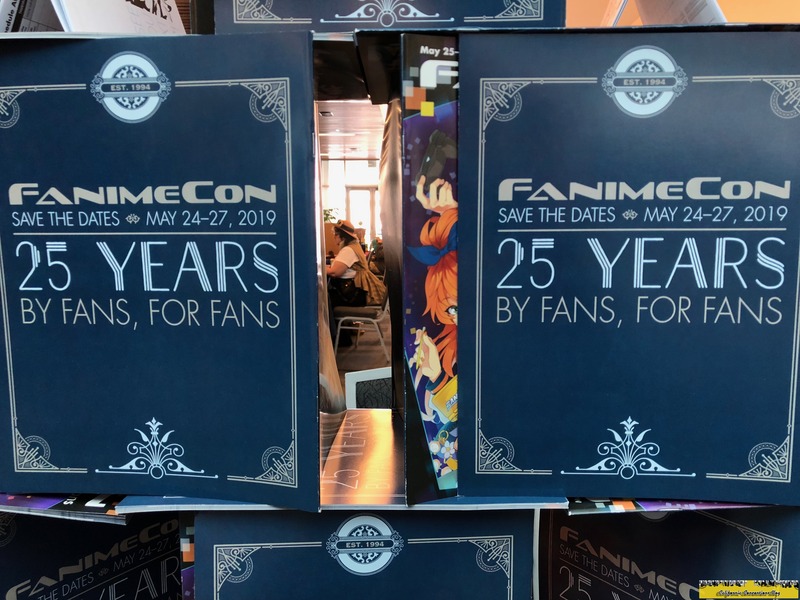 And, for most con goers, myself included, Anime Los Angeles (now located in Ontario, California) is a go to for the beginning of the year convention. 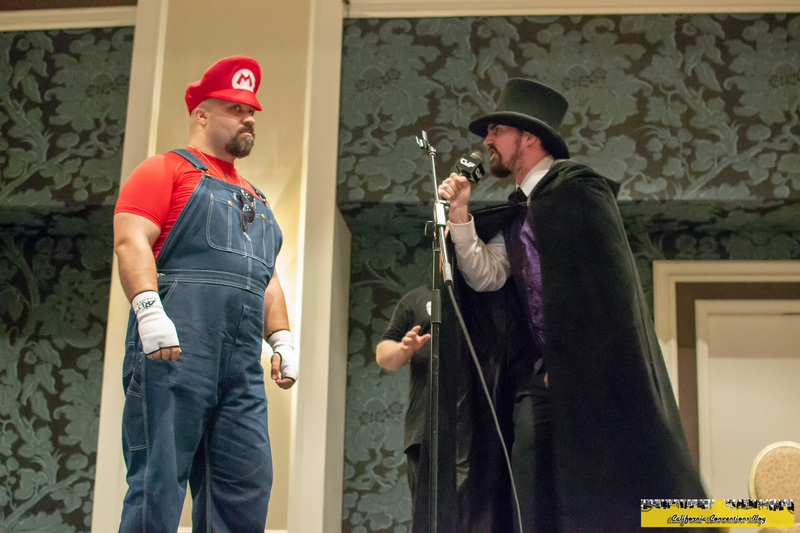 Family friendly and a good convention to attend for first time con goers. Every year, the dates for this convention change. This year, the convention fell on the dates, January 10-13th. First, before I get into this, I sincerely apologize for the late entry. My current job has kept me preoccupied, as I type this, I am preparing cosplays for Fanime in May. So, again, I do apologize for such a late entry. It was never my intention to write this review out later than usual. Now, on to the Anime Los Angeles 2019 review. 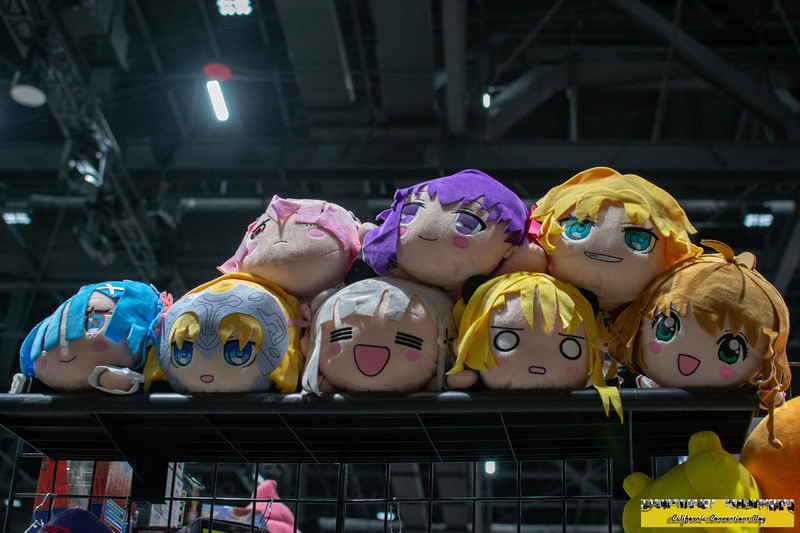 A major improvement, since the past convention (2018), thus far, was Artist Alley. 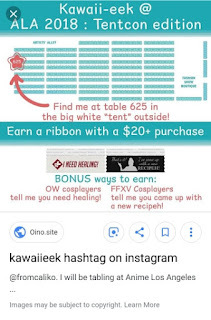 If you recall "Tent Con", a mistake Alec Orrock, current CEO, said was his fault for not alerting artists of their locations until two weeks before the convention last year, was fixed for this event. In fact, artist and their tables were inside the convention. After the outrage (and possibly mocking) tones from attendees and artists. By mocking tone, I do mean that people were handing out "Tent Con" ribbons. Hilarious, if your sense of humor is dark. 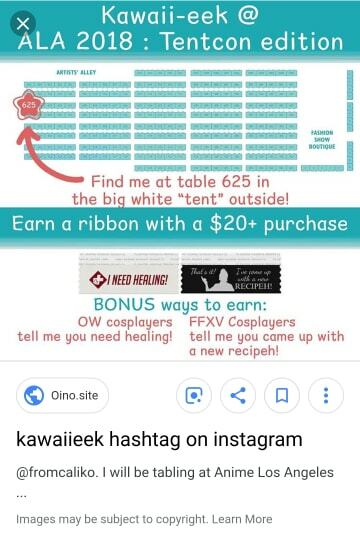 Artist and Instagram user, Kawaiieek, was handing out "Tent Con 2018" ribbons last year's convention. Unfortunately, I was not able to get my hands on this specific ribbon, but it was yellow. This year's guest list, if you were not informed, was fantastic. If you were a fan of Boku no Hero Academia/My Hero Academia, then this year was the perfect for you to attend.Why? A few of the voice actors were present. And, by a few I mean eight of the voice actors were special guests. The voice actors for Izuku Midoriya, Katsuki Bakugo, Momo Yaoyorozu, Shoto Todoroki, Tomura Shigaraki, Eraserhead/Shouta Aizawa, Space Hero Thirteen and Tatami Nakagame. Endeavor/Enji Todoroki's voice actor, Patrick Seitz, was supposed to attend, but due to sudden illness, he did not attend. This is understandable. So, allow me to list the voice actors that were there. Justin Briner, Clifford Chapin, Colleen Clinkenbeard, David Matranga, Eric Vale, Christopher Wehkamp, Morgan Berry and Kristen McGuire. If this wasn't the highlight of your convention, meeting them and obtaining autographs is. Unfortunately, I was unable to get any of the voice actor's autographs, but I do know a few people who did get their autographs. There was a /slight/ issue with autograph sessions though. If you did not attend the panel the previous day and had been given a ticket for attending said panel, then you could get the autographs from ALL of the voice actors. This would be an issue, if say, someone didn't know in advance and tried to get autographs the day of the major signing. Taken on January 11th. 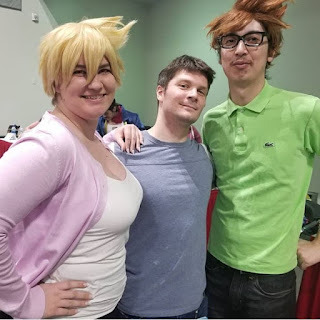 In this photo is Skittledash (IG) as Mitsuki Bakugou, Clifford Chapin (voice of Katsuki Bakugou), and Eric Wattana as Masaru Bakugou. 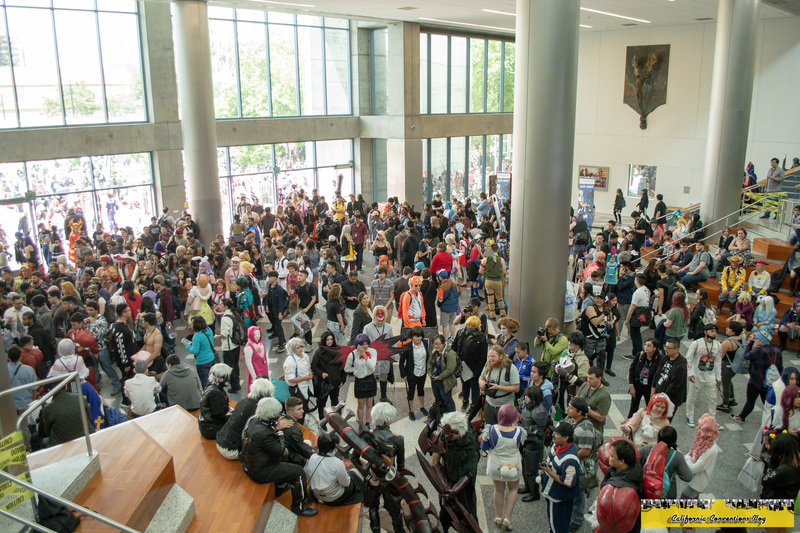 According to a source, they state that the reason for this change is that the My Hero Academia panel was at more than max capacity. People were standing/leaning against the walls. It was a fire hazard, and quite frankly, I do not entirely blame ALA staff for this mishap. They didn't know how popular the series was, or how many people were interested in attending the panel in the first place. Now, on to panels. It is known that Anime Los Angeles plays favorites when it comes to panels. Especially if the panel theme is in the category of the convention theme. This applies to this year. The following two images above are from a con attendee named Valeria Castro. She had an in character panel. 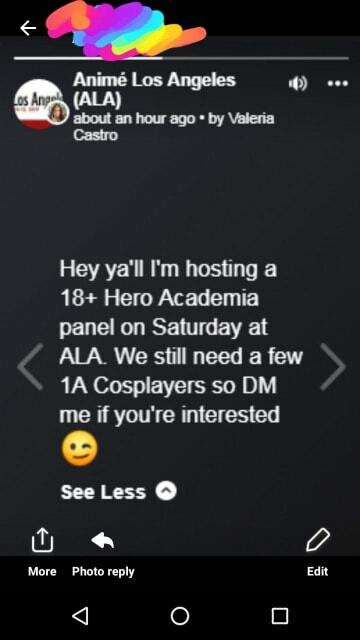 Specifically an 18+ in character panel. Back in 2016 and 2017, I had applied for two in character panels. Both were denied. 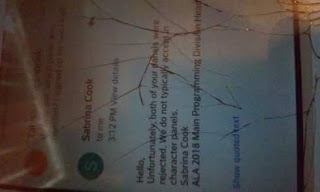 The image below is the response I received from Sabrina Cook. I apologize for the bad quality of the picture, but as you can see, this is taken from my old iPod. Sabrina Cook's response states that "We do not typically accept in character panels". No other reasoning was given. No explanation whatsoever. After talking to another source, they told me that usually, if in character panels are not accepted, it is because of copyright issues. 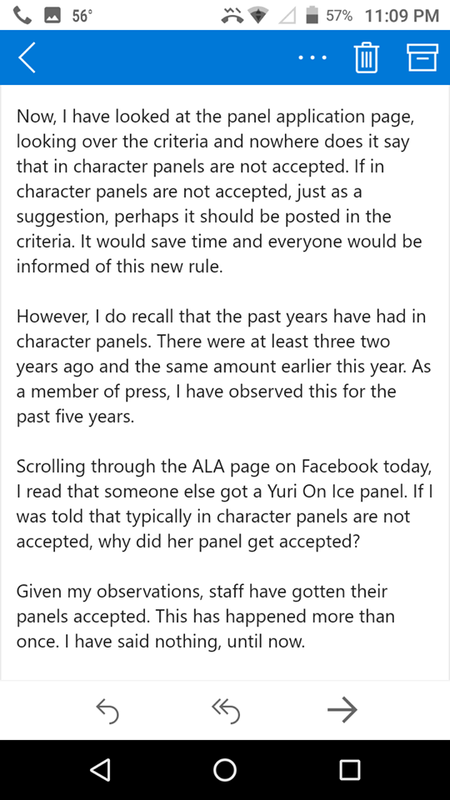 This was never an issue years ago when the Hetalia panels were being accepted. In fact, this was never really an issue when the former CEO was in control. To add insult to injury, I took a good look at the panel application rules. Nowhere, as you will see, does it say that in character panels are not accepted? No. 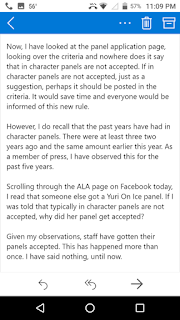 I've stated this before in previous reviews for Anime Los Angeles, and if in character panels are not accepted, THIS SHOULD BE STATED IN THE RULES! 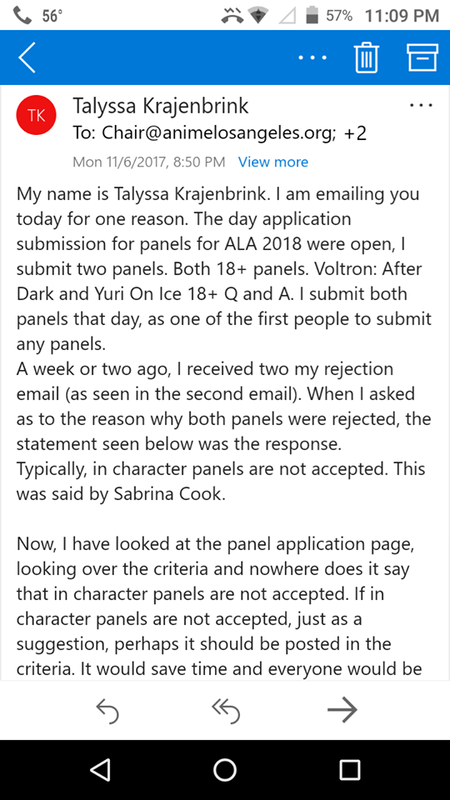 When I questioned as to why my panels were denied in 2016 and 2017, nobody emailed me back, especially after getting access to the emails of everyone who could answer my question. The images below contain the email sent. Again, I received no word back from the multiple emails I tried to get in contact with. How does this apply to this year? Allow me to elaborate. 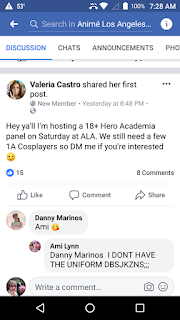 If in character panels are not accepted, why was a My Hero Academia in character panel allowed? If it applies/matches the convention theme, it will be allowed. Plain and simple. Or, a better term would be favoritism. That is the perfect word for this situation. Why? Because it is true. Now, whether people confirm or deny this is up to them. This is a problem. Why? 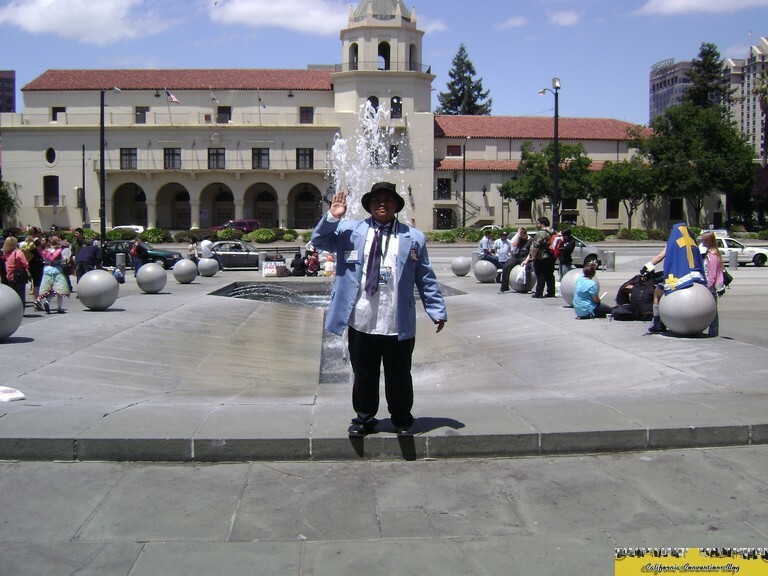 No convention (CEO, staff/volunteers, etc.) should be playing favorites. Especially with panels. If there is a rule change, it should be stated. Why get hopes up if the panels will be denied? 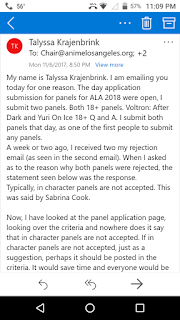 This is unfair to everyone else who doesn't get their panels accepted. 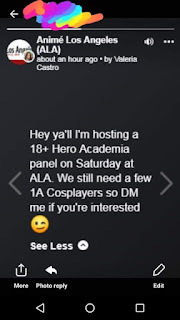 Word to the wise, do not apply for in character panels. Unless you know someone that staffs or it applies to the theme, it isn't going to get accepted. What is written above isn't the only issue. There is more. 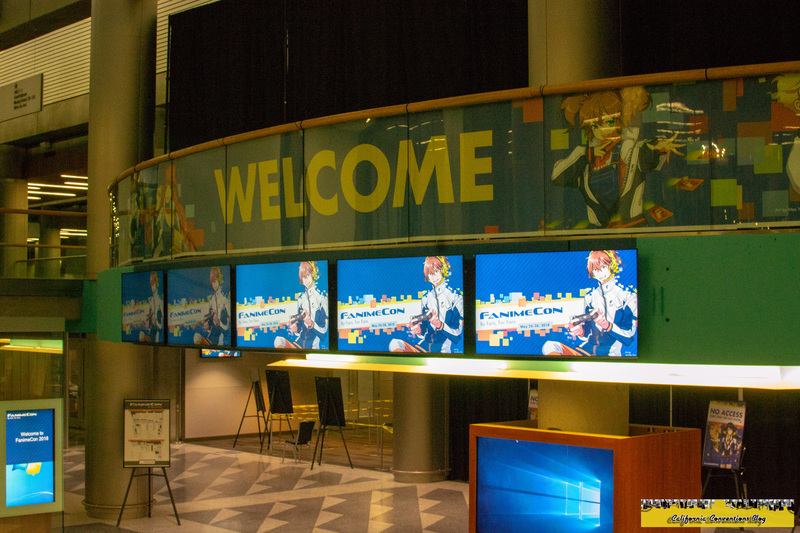 There was one entrance into the convention center. Through a tent with security, bag checks and metal detectors. This wasn't a major issue day zero and day one. Day two is when it became a problem. No other entrances were open, and if you were by a certain hotel, you had to walk all the way around just to get to the main entrance. The line for the main entrance was all the way around the corner, about half-hour to an hour wait, just to get in. A second entrance was opened, one of the side entrances. My guess, someone complained. I wouldn't blame them though. The line was ridiculous. Last year, meal vouchers were given to volunteers/staffers. There was an issue with not being able to bring in outside food or drink, to force attendees to buy the over-priced food and beverages. This was the case this year. Food vouchers were given staffers and artists. If an artist was at table/booth, and couldn't leave, a staffer would go get food for them. However, they had to pay in advance. Only bottled water was allowed in. Nothing else. Surprise. Surprise. Anime Los Angeles was understaffed. Yes, understaffed. Why? Due to complications last year, many former staffers did not want to return. In fact, some departments were cut completely. I.e., Exhibit Hall. Con staff/security was keeping tabs on Exhibit Hall. The staffers working were mostly new people, people who didn't know what they were doing, an were told to make sure nobody is doing anything stupid. According to my source, they claim that nobody answered Alec's email, thus being short staffed this year. A reliable source noticed that the current CEO was visibly upset/stressed, while making rounds. Especially when organizing dealers hall. Again, this is due to the fact nobody answered the emails. The only department that Alec wasn't in charge of was autographs. Allison Meyer, the same woman who took over all of the current CEO's responsibilities last year, was running the autograph department, and even that was a mess. Usually, staffers in dealers hall ran the autograph session, but since nobody was assigned to that department, things went south. For staffers who worked last year, some didn't receive their rollover badges. They were told by those in the badge department that they were not receiving them. And, they were told to leave. A similar situation happened last year with a former staffer. I reported on it in last year's review. It appears that nothing is really changing. In fact, it seems to be getting worse. From deep observation over the years, between the change of CEO's and locations, the direction this convention is going is unfortunately very bad. In fact, it seems like it's trying to become Anime Expo. 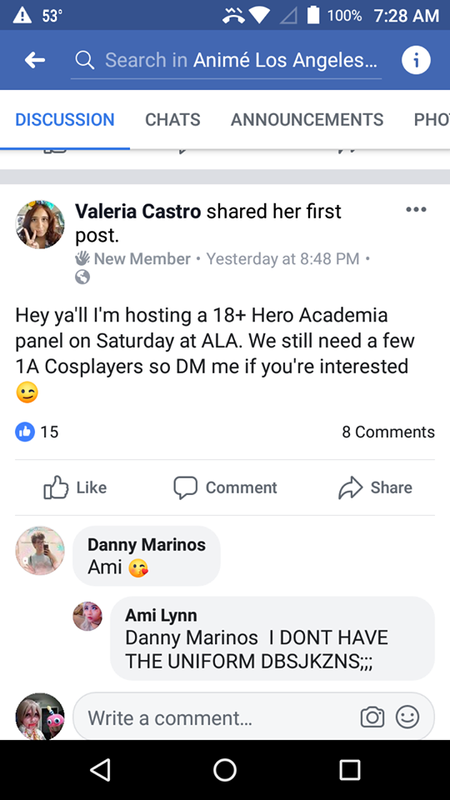 It is no lie that Anime Expo and Wonder Con are trying to become Comic-Con. Rules and all. More industrialized, not for fans, and you have to pay for everything, even autographs. However, ALA isn't to Anime Expo level yet. Soon, within possibly ten years, maybe. Fanime is slowly becoming more industrialized as well. So, it isn't just this convention. Before the blog gets hate emails, or I somehow get harassed (again) for stating the truth, I do enjoy this convention. It is a good starter convention. Family friendly (usually). The beginning of the year. Overall, a good con. Minor problems don't make it a bad event to visit. But, please, don't take just my word. Look at other convention review blogs as well.